Janak Niwas aim is to serve the guest and provide them a homely environment. Here 10 years of experience people hosting. The specialty of the Janak Niwas is its traditional Rajasthani architecture and the huge area covered by it. One is Roof Top Bistro, for having a delicious dinner with view of the old city. 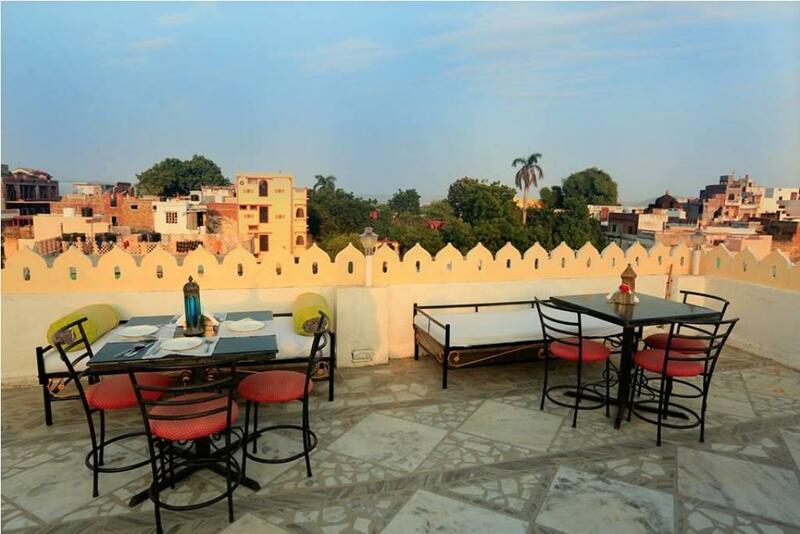 On a roof top Bistro with beautiful panoramic views of the City Palace, Rop Way & musical Fountain Garden, Havelies, Temples & also view of one of the oldest mountain area of the world "Aravali Parvat Mala". You can request a boat ride on the lake or cultural performances with a little advance notice. Janak Niwas Paying Guest House is well designed and located on the top of a hill which is very peaceful & pollution free. Internet/Wi-Fi, Airport Transportation, Room Service, Backup Generator, Front Desk, Breakfast Services, Family/Child Friendly, Baggage Storage on Request, Business Facilities, Doorman. Daily Room Cleaning, Ceiling Fan, Attached Bathroom, Safe Deposit Locker Facility, Child Care, Refrigerator Room, Television Room, , Mineral Water, Internet Access. User reviews for "Janak Niwas Hotel Udaipur"